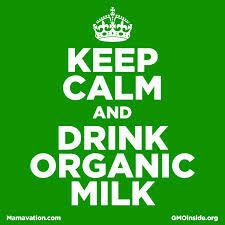 One of the changes I’ve made since being diagnosed with cancer is that I only buy organic products, including milk. My mom, who usually just buys regular pasteurized milk, recently noticed that the organic milk seems to last so much longer. She asked me why. “It’s the pus…” I answered. She looked at me a little confused. Most people don’t know that the non-organic dairy industry is legally allowed up to 750,000 pus cells per ml of pasteurized milk. 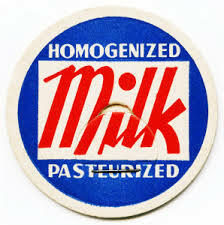 This means an 8-ounce glass of pasteurized milk can legally contain up to 180 million pus cells. PUS CELLS? Yep. The industry likes to call them ‘somatic cells,’ but this is just another name for pus – the same kind of pus that pops out of a zit on your face. How does the pus get into the milk? Because non-organic dairy cows are raised in such crowded and unsanitary conditions that they are riddled with infection, particularly in their udders. Ever wonder why the non-organic dairy industry feeds their milk cows daily doses of antibiotics? Because of all these infections. But by using antibiotics so regularly, they can’t clear the infections in the cows. They can just keep them somewhat less threatening, producing less puss than if they just let the cows go untreated. Organic milk comes from cows that aren’t treated with antibiotics. So why don’t they produce pus? Because they aren’t raised in conditions that result in infection. 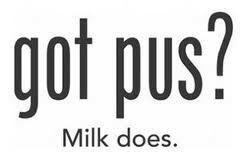 So when you pour yourself a glass of organic milk, you aren’t drinking down a pus milk-shake. Nor are you drinking down any antibiotic residue, which contributes to antibiotic resistance in humans. Pretty sick, right? But it’s true. Read on.